In the last few weeks, we have made continuous progress and I am happy to share all the highlights with you. I am happy to announce that the newly launched, 4G compatible sensors are now live in the retail outlets of 15 brands, and we are expanding the sensor network to more brands soon. The 4G compatible ION sensor can detect any store visitor who uses 2G, 3G or 4G mobile networks. This has enabled us to expand the number of people within the ION sensor’s coverage. 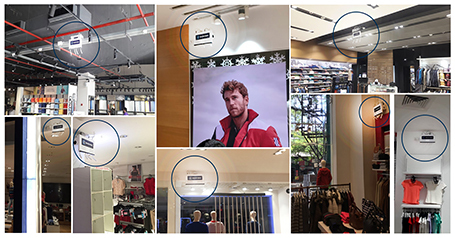 Our retail partners are excited to start working with the new data generated by the sensors and create more value by extending the technology to more of their store locations. We are constantly procuring ION sensors to meet the growing demand as we close more pilot deals. We are thankful to all our telecom and retail partners who are extending their support with all requirements. This analysis has been done using February 2019 data. As you can see, 33% of customers visited store in the first week, and that is due to the fact that the first week was the salary disbursement week. 43% of customers spend an average of less than 20 minutes, whereas only 4% of the customers spend more than 100 minutes. Weekends are most crucial days for in-store sales, as they comprise of 48% of total customers. We have observed that 6PM to 8PM are the peak hours for the stores, whereas 10AM to 12PM have the lowest footfall count. The biggest area where we have made progress is with our partnerships. As of today, we are working with 15 brands across retail formats. Many of these brands are huge retail chains and our successful implementations in their stores will help us to expand the network PAN India. All our energies are currently focused on ensuring the success of these pilots and we will keep you posted on their progress. Here is a snapshot of our progress on business indicators. I understand that you all are eagerly awaiting company updates. I have made it a practice with our team to share monthly updates on progress, so you will be fully aware of the latest information on the company. I also want to update you on our international partnerships with South Korea’s Starfeed and ZOYI Corporation and Russia’s FlogMall. 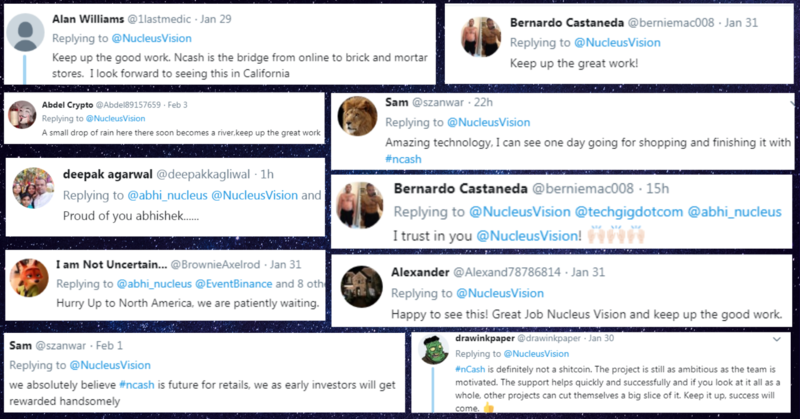 This global expansion is growing in value and creating utility for nCash. I am also happy to share that to we received nCash Pay integration requests from all geographies such as Germany, USA, Japan, Korea and beyond. So far we have received 53 requests for integration. To expand the utility of nCash we have waived transaction fees, making nCash Pay the go-to payment solution for your online store. The newly launched nCash Pay product is gaining decent traction and we will continue to improve the product with diverse add-on features on IoT and AI. We’re now on an aggressive growth track, and we’re always on the lookout for strong talent in the areas of technology, marketing and data science. If you or someone you know is interested, please apply at [email protected].